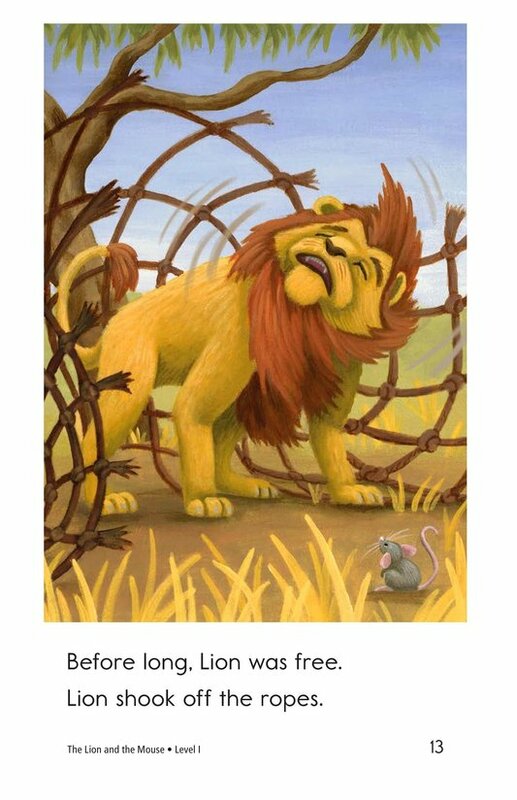 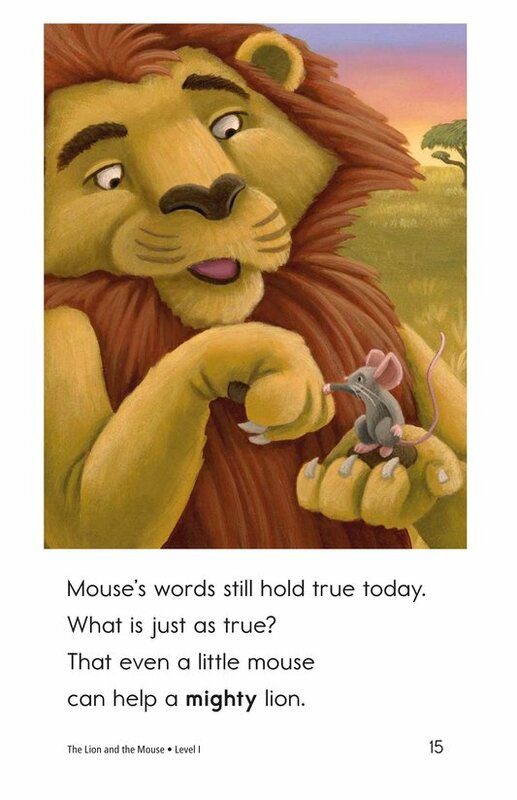 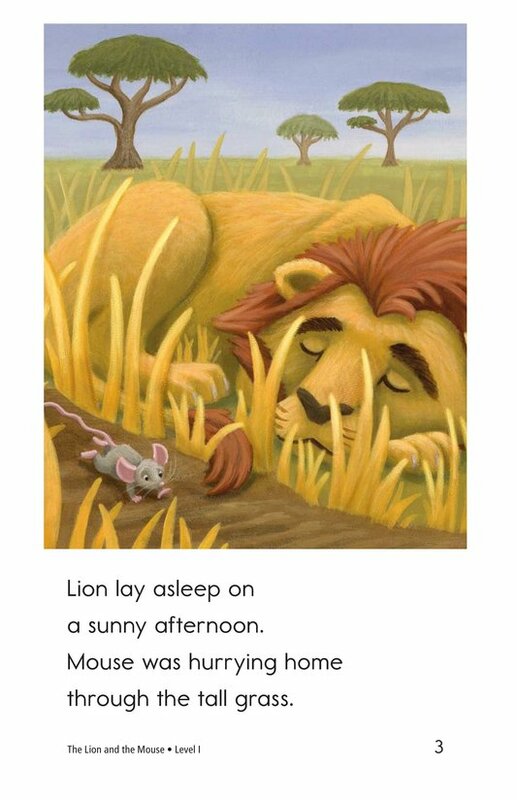 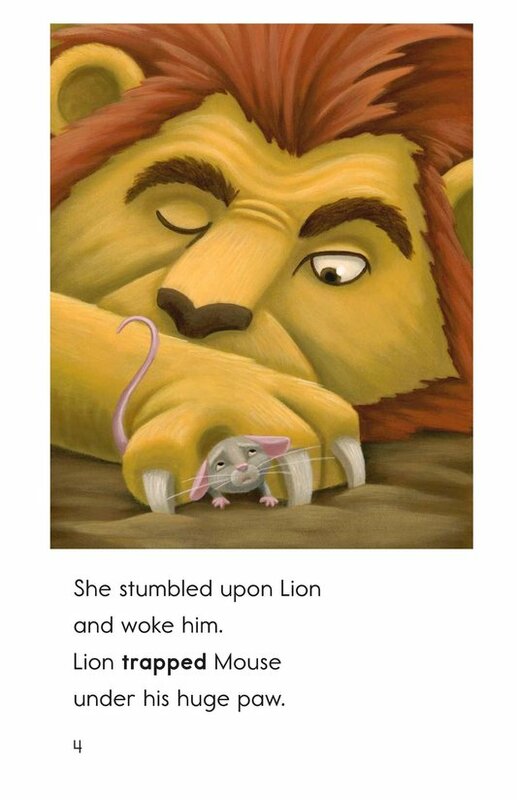 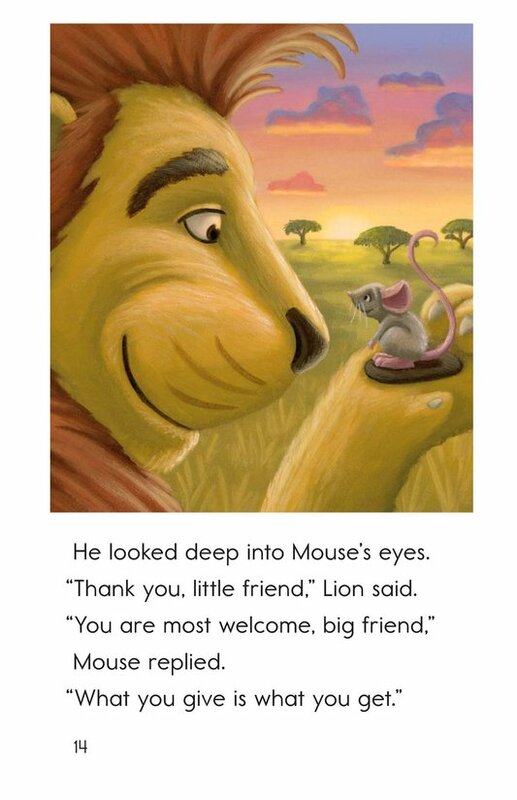 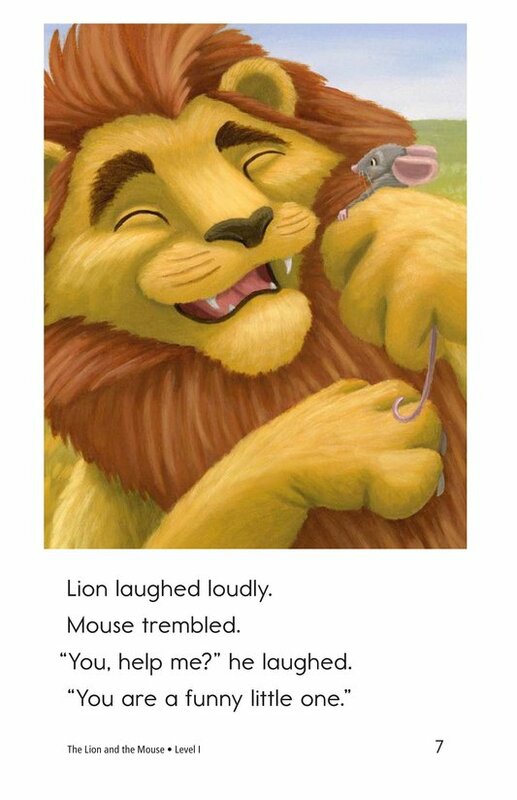 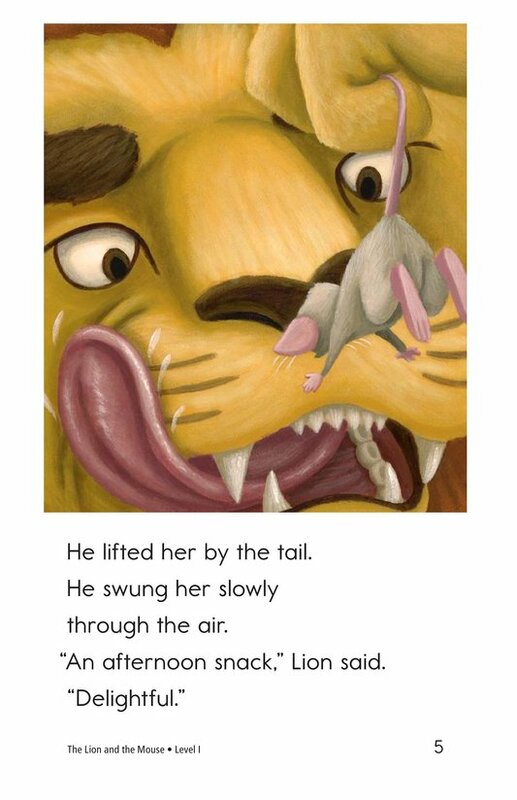 A tiny mouse stumbles upon a sleeping lion and finds herself trapped under his huge paw. 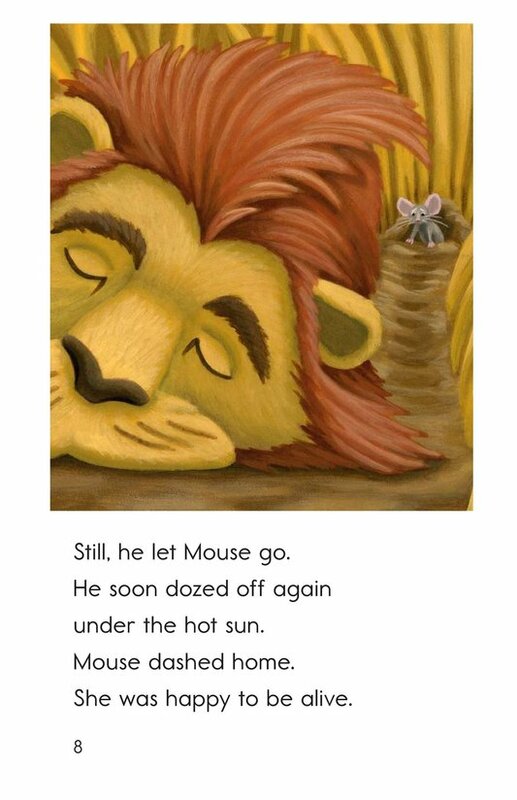 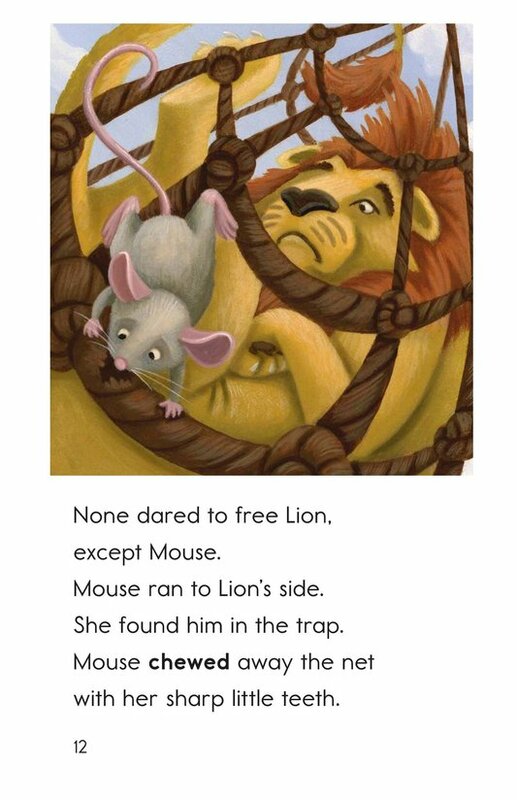 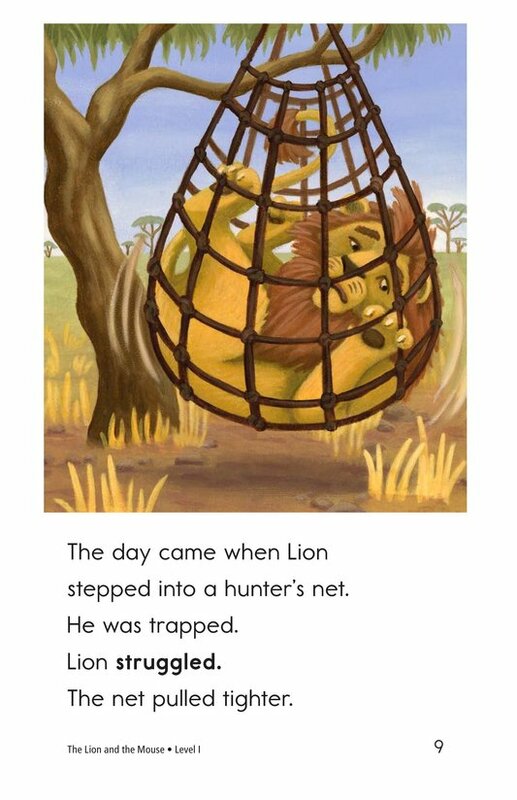 Just as she is about to become an afternoon snack for Lion, Mouse convinces him to let her go, promising to help Lion one day. 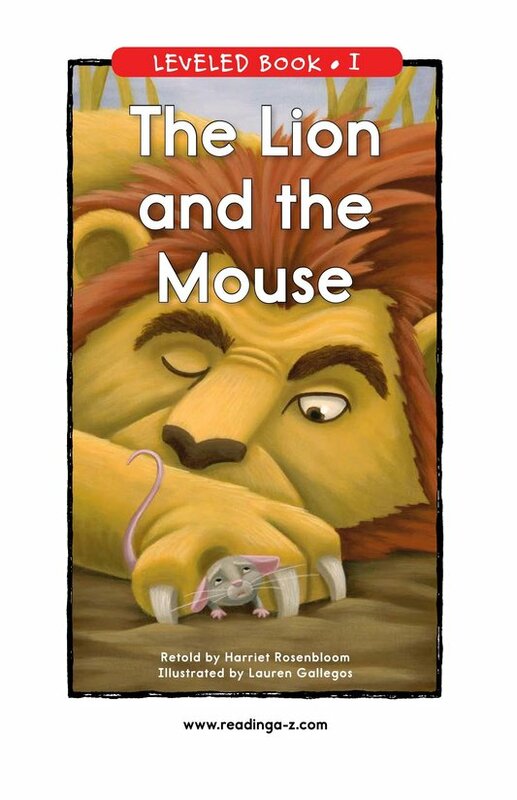 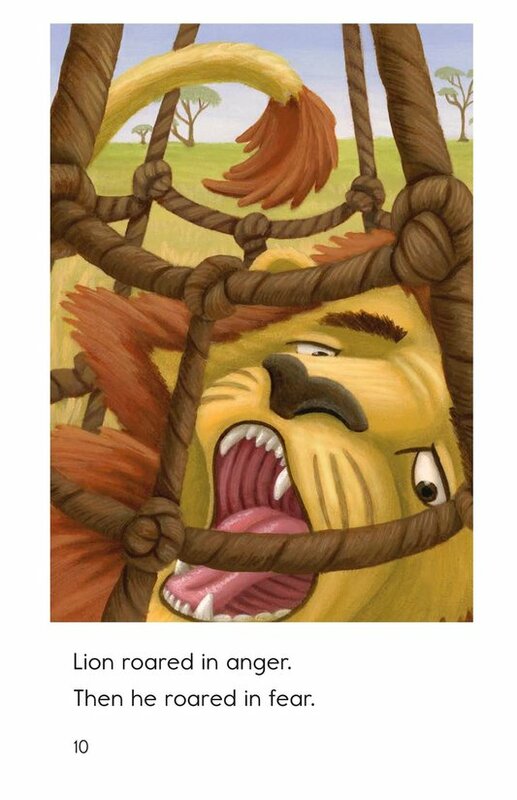 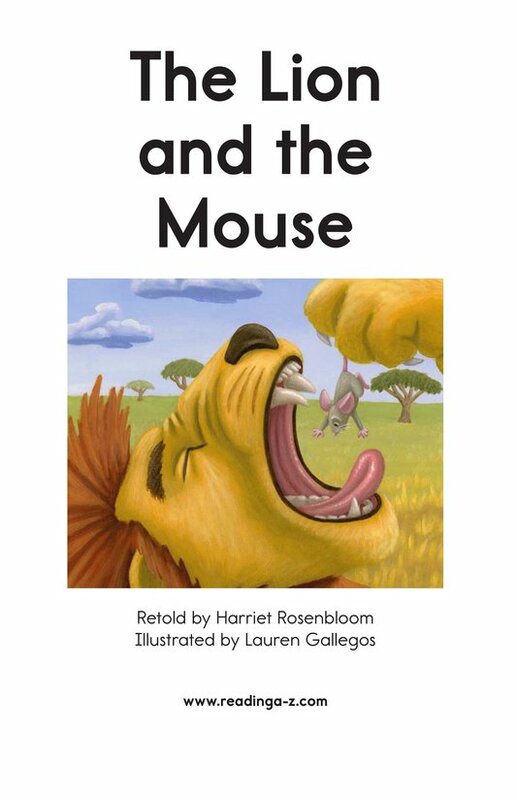 Will the small mouse be able to help the mighty lion? 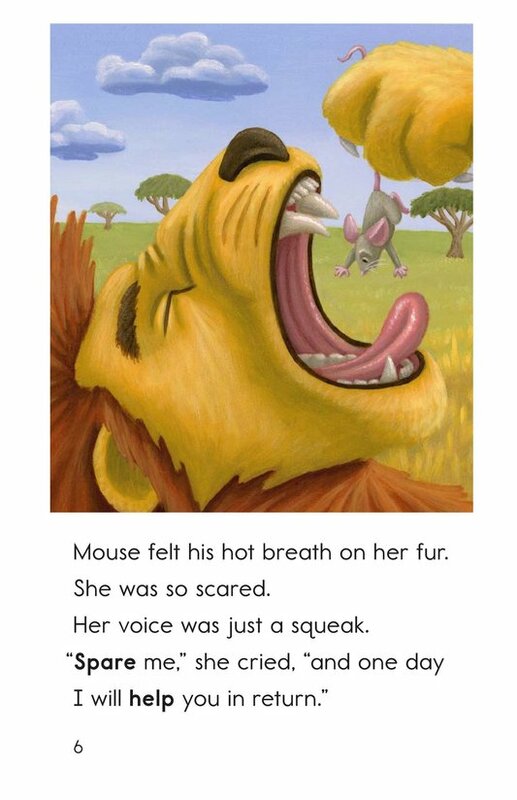 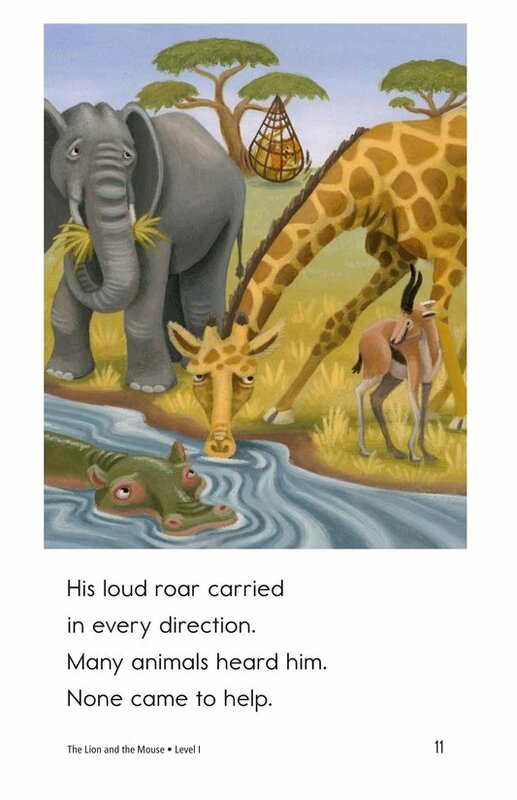 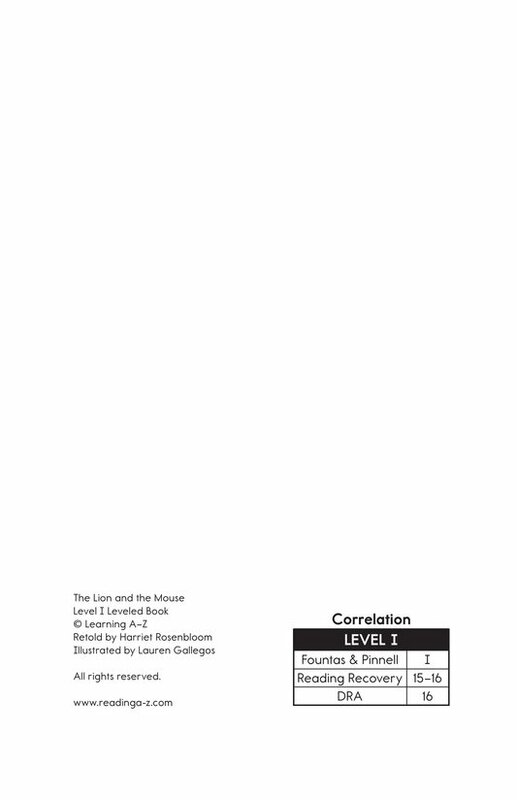 Students will enjoy the colorful, supportive illustrations while they learn about sequencing events and connecting to prior knowledge.